You are buying the Pilairo Q AirPillow Seal Fisher & Paykel 400HC125, manufactured by Fisher & Paykel. Fisher & Paykel is a leading manufacturer of CPAP machines and CPAP accessories. At ADW Diabetes, we offer the complete line of Fisher & Paykel CPAP products with excellent pricing and fast shipping. 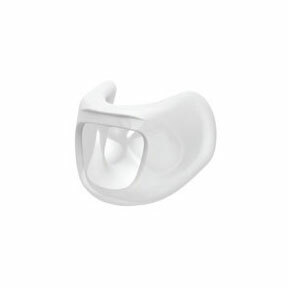 This Fisher and Paykel Pilairo Q AirPillow Seal is a replacement part for the Fisher and Paykel Pilairo Nasal Pillow Mask and Pilairo Q Nasal Pillow Mask. It is designed with a stable, dual-layered seal for an exceptionally comfortable sleep apnea treatment experience. The silicone-based CPAP nasal mask pillow seal boasts AirPillow technology, which allows it to self-inflate and adjust according to your specific facial structure in order to preserve the quality of the seal and maximize effectiveness. The supportive CPAP pillow seal lasts up to six months with proper maintenance. Available in one size that fits most patients. Each package contains 1 replacement AirPillow seal. CPAP nasal mask not included. I have tried many different kinds of masks & this one is by far the best. It is the one that is least obnoxious! It doesn't cause any problems with my sleep! !